Picture yourself enjoying an exhilarating sailing experience off the coast of Brazil when suddenly an unexpected storm is upon you. You make it through the storm unscathed however, your sailboat has been battered and blown off course. With panic setting in you frantically scan the horizon looking for help. There in the distance you spot a tiny island and can just make out a lighthouse sticking above the treeline. With a burst of hope you maneuver your damaged boat to the island and hop ashore, intending to make your way up to the lighthouse for help. Fighting your way through knee-high grass you make it to the tree-line. As you duck under the branches and creep your way up to the hilltop you notice some of the branches moving. Peering closer you notice golden snakes everywhere in the trees. A jolt of panic-induced adrenaline sends you dashing up the hillside to the lighthouse. Jumping and twisting out of the way you make it to the door with a sense of relief. 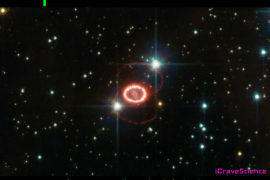 Pulling open the door you rush into the dark interior. Feeling a sudden weight hit your head and then fangs sinking into your neck you realize with horror you’ve made a terrible mistake. Ilha da Queimada Grande or “snake island” lies 90 miles off the coast of Brazil and is one of the most dangerous islands in the world. 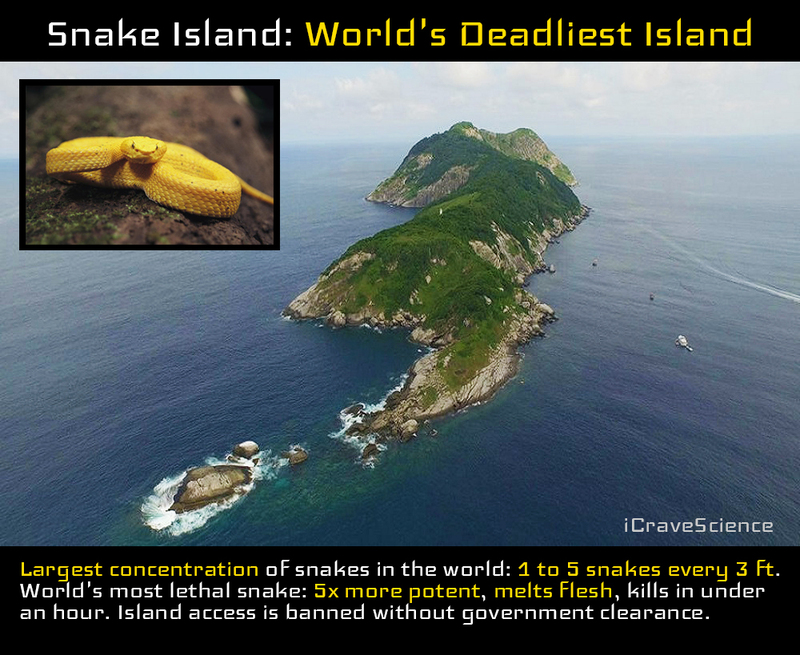 This tiny, peaceful looking island has been overrun by the world’s deadliest snake, the golden lancehead viper. Legend has it a similar scenario happened to a fisherman who lost engine power and ventured onto the island. He was later discovered in a pool of blood and covered with snake bites. The island’s lighthouse was constructed in 1909 and abandoned in the 1920s after the lighthouse keeper and his family were killed by snakes that slithered through the lighthouse window and bit them. Snake Island was separated from the mainland about 11,000 years ago due to rising sea levels. With no predators on the island the trapped snakes rapidly reproduced and took over. Previous estimates had the population of snakes between 2,000 and 4,000. 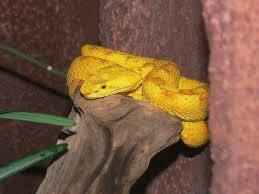 The tiny island is only 110 acres with 1-5 golden lancehead vipers about every 3 feet. The mainland vipers hunt rodents but with no ground-based prey the golden lancehead needed a new strategy. The island vipers rapidly evolved more potent venom and took to the trees to take down migratory birds. The venom is 3x – 5x more potent than mainland vipers enabling them to quickly kill the birds before they can escape. The golden lancehead’s venom is so potent it liquefies flesh and can kill a person in under an hour. The lancehead genus are responsible for the most human deaths in North and South America. 90% of the serious bites in South America are caused by the lancehead snakes. Even though the venom is extremely toxic, scientists believe it has tremendous medical potential. Researchers are working with the venom to see if it can be used for heart disease, blood clots, and anti-cancer treatments. 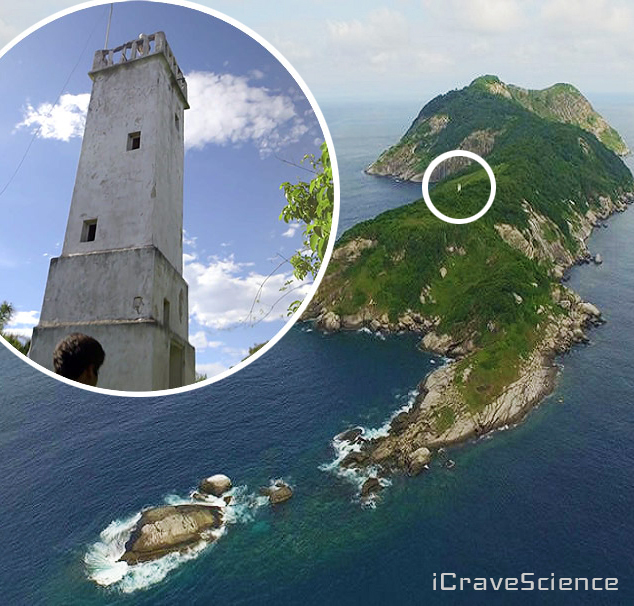 The Brazilian navy automated the lighthouse and closed the dangerous island. 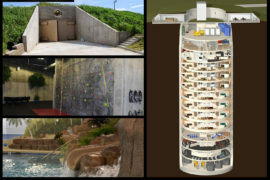 This was done not only to protect humans, but also the critically endangered snakes. 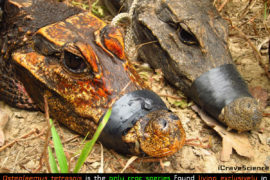 The island is still a lucrative target for biopirates though as each snake captured can fetch up to $30,000 on the black market. 1 gram of venom can cost more than 1 gram of gold. The poaching is having a noticeable impact on the snake population with recent estimates dwindling to 1,500 – 2,000. The golden lancehead is listed as critically endangered and plans are underway to start a captive breeding program at the San Diego Zoo. Once a year the navy travels to the island to maintain the lighthouse. Any other visitors need clearance from the Brazilian government. The visitors are advised to put on heavy socks and knee-high leather boots to protect against an accidental bite. A doctor is also required to be present during all visits for immediate medical care. So, if you happen to find yourself on snake island watch your step!